There are no photos with those IDs or post 26644 does not have any attached images! 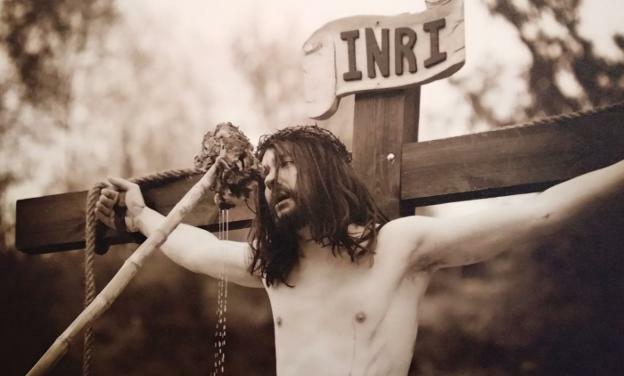 This year, the sixth edition of the Via Crucis Viviente, an appointment that every year has more success of participants and audience, last year added about three hundred actors. The main novelty of this year will be the representation of the "Sanhedrin," the judicial process that ended with the death of Jesus Christ. "Last Supper of Jesus" in the parish church of Infiesto. "Prayer in the garden of the olive trees" that will take place in the Plaza Mayor. Then the procession of Brotherhood of the Holy Christ of Mercy of Infiesto will be developed, and after the 21.30 hours the criminal procedure against Jesus, which ended with the death sentence for blasphemy. Staging of the appearance of the son of God before Pilate, his crucifixion and finally his resurrection, all in the square of the Cattle of Infiesto, turned into a mount Golgotha ​​for the occasion. On that day stands will be placed in the capital of Piloña to facilitate the viewing of the large audience. Procession of Silence, at 9 hours. Holy Mass, at 12.30 hours. * Photo by Inés Corral. Punctuation: 3.3. of 5 votes.